The Difference Between Water Pressure and Water Volume | Weilhammer Plumbing Co. Inc.
You’ve heard of low water pressure; but are you familiar with low water volume? Not only is there a difference between water pressure and water volume, both can actually have a negative effect on your home’s plumbing, and ultimately, your finances. Continue reading to learn what you need to know about low water pressure and water volume, including what you can do about both. Slow Water? Call 317-784-1870 for help. Low Pressure or Low Volume? The most important advantage of understanding the difference between low water pressure and low water volume is that it can help you better identify other plumbing problems around the house. But first, you must be able to tell the difference between the two. You likely already know about low water pressure, as most of us have experienced weak shower heads and slow-filling bathtubs once or twice in our lives. But low water volume can be a bit trickier to see. You see, water pressure is the amount of force that pushes water through your water lines, while water volume refers to the quantity of water pushed through. 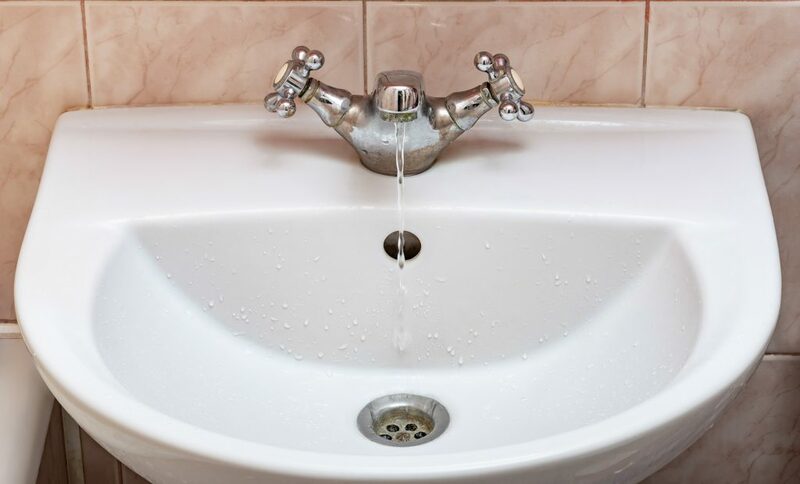 Water volume is regulated by your plumbing pipes and the aerators at the end of your faucet taps. For this reason, you would need to take a look at your faucets to get a better idea of the water volume in your home. And in more serious cases, you will need a licensed plumber to take apart and inspect your pipes for obstructions. Fortunately, low water pressure and low water volume can both be improved with the right solutions. If you believe you have low water volume, there are several options for improvement. One of the main reasons why water volume lowers is due to hard mineral deposits and limescale. Simply take apart your faucets, soak the aerator in distilled white vinegar for 3 to 5 hours, and rinse with clean water. If this doesn’t work, you may need to replace the aerator altogether, or adjust the flow restrictor in the aerator. Read our blog, “How to Locate and Adjust Low Volume Water Restrictors” to learn what to do. Another fix for low water volume is an obstructed water valve. If your water flow does not improve, check to see if your main water valve is open all the way. If none of the above options work for you, it is necessary to enlist the help of a professional. You may have serious pipe blockages and similar defects causing your low water volume and water pressure, all of which must be inspected by a properly-equipped and licensed professional. This entry was posted in Water Pressure Repair and tagged improve Water Volume, low water pressure, plumber Indianapolis, plumbing repair Indianapolis, Water Volume help, Water Volume vs water pressure. Bookmark the permalink.